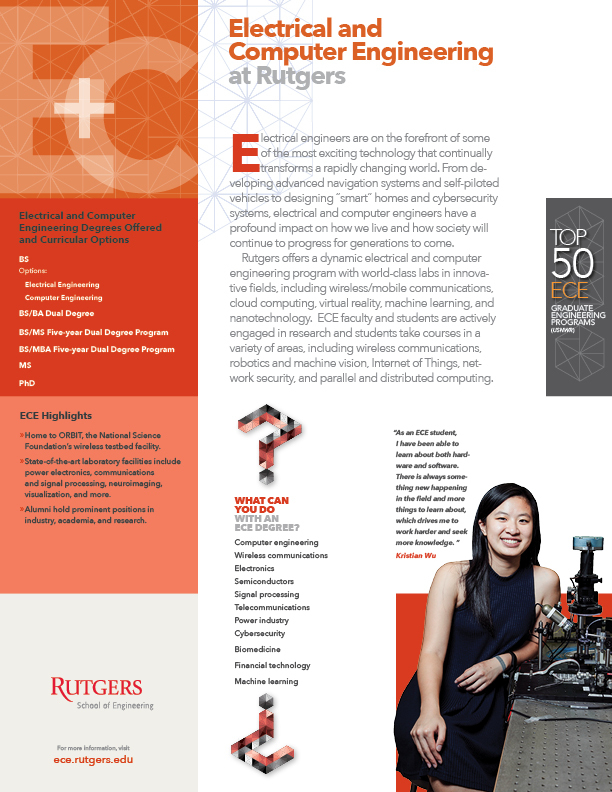 The Department of Electrical and Computer Engineering at Rutgers teaches students to be at the forefront of today's information and technology age. Our advanced research laboratories and other facilities help enable our students to learn about the various aspects of electrical or computer engineering. The undergraduate program includes two main strains of engineering - electrical and computer. While both share the same fundamental lessons, they each lead to their own specialities. Our goal is for our students to exit the University trained for a career in a large variety of fields and institutions. Our graduate program allows students to choose from one of three different Master's programs while conducting research under the guidance of our highly motivated faculty. We also offer a Ph.D. program for those students qualified to enroll in it, while providing the opportunity for all of our graduate students to publish in peer-reviewed journals. 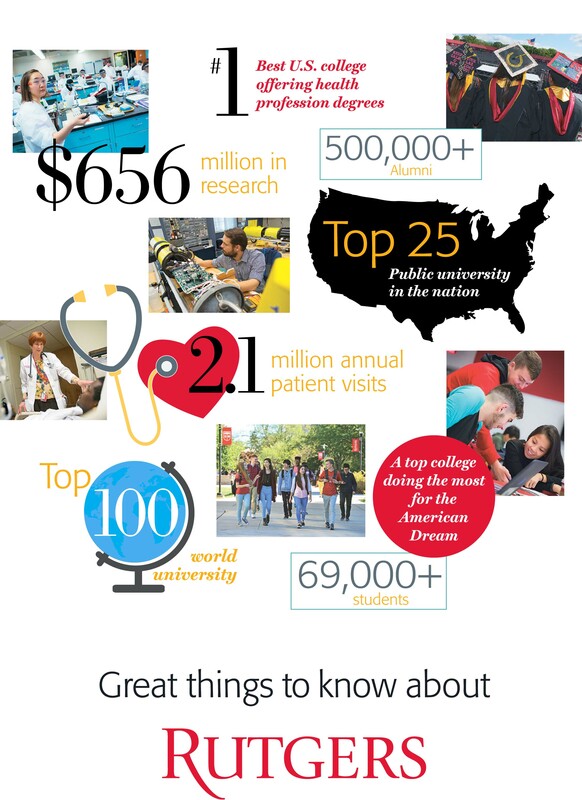 Our nearly 40 faculty members are all highly qualified to bring the best possible education to our students both through the classroom and through our extensive research projects. Their combined years of experience and their dedication to our students helps us remain one of the top 20 ECE programs in the nation.